On Sunday, October 22nd, a picture-perfect day with gorgeous weather, folks left the beautiful outdoors and came inside to support The Nature Museum’s benefit concert featuring Big Woods Voices. 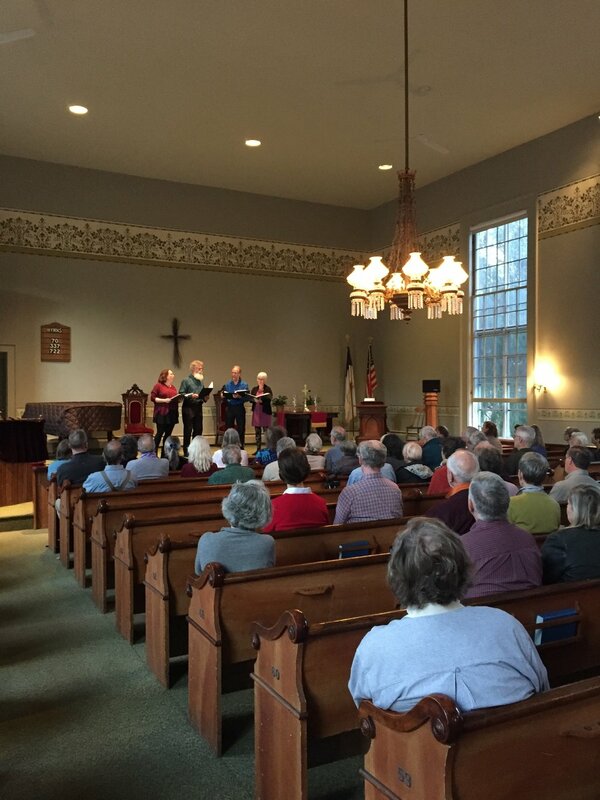 A large (90 strong) and enthusiastic audience for the two-set concert which featured the super talents of Will Danforth, Alan Blood, Becky Graber, and Amanda Witman. The Grafton Village Bakery and MKT provided delicious baked goodies to accompany the apple cider at intermission. The generous donations will be used to update our well-used educational materials and keep our programs fresh and fun.